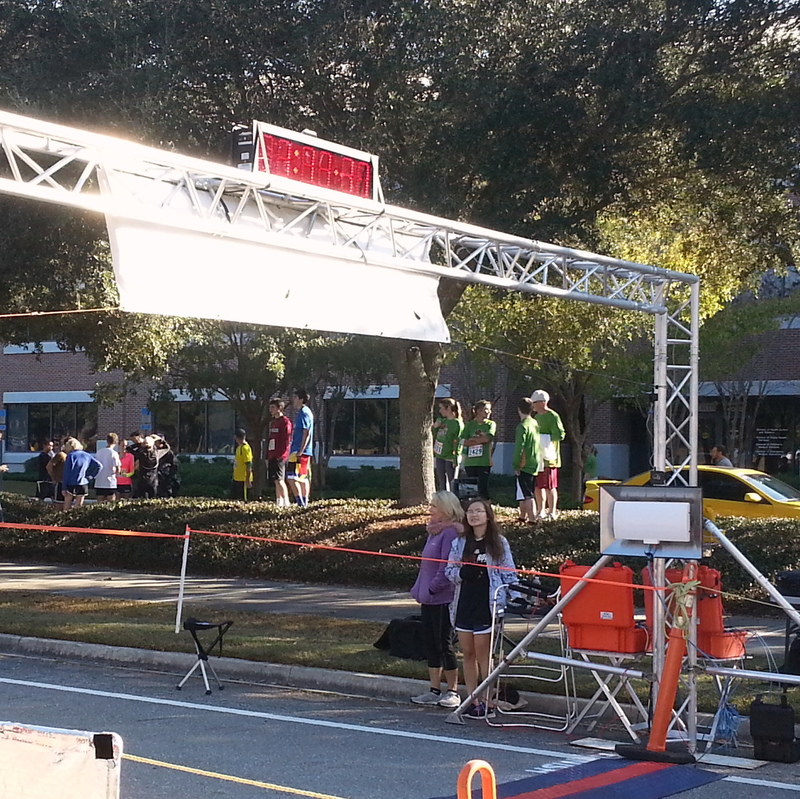 The Corrections Foundation hosted its Third Annual DC Doggie Dash 8K/5K/1 Mile Fun Run in Tallahassee where runners’ times were recorded using a chip timing system developed from RFID Race Timing Systems. 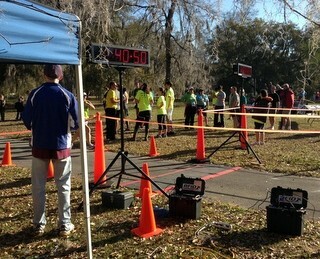 Local race event organizer, Gulf Winds Track Club, provided the chip timing system which utilizes RFID readers and timing mats to record each runner wearing a chip attached to their racing bib as they crossed the finish line. In conjunction with the RFID-based system, the club also used RaceTrak timing software to process the results. The previous method for recording results involved strips which were detached from the race bib and placed in finish order on a wire as the participant crossed the finish line. The time was recorded on a Time Machine by staff pressing a button. The Time Machine times were then merged with the bib scans, which corresponded to the registration data, to produce the results. The Doggie Dash race event benefits the Florida Department of Corrections’ Dog Training Programs, which allows state inmates – who were themselves trained by a professional dog trainer – the ability to interact with dogs and find gainful employment in animal services when released from prison. The program also provides assistance to the working police dogs and K-9 tracking units.